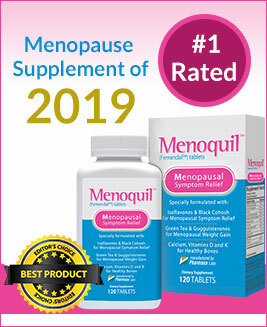 HRT or in other words Hormone Replacement therapy is considered safe and effective by many women, for the treatment of menopause, without having an idea of what risks are exactly associated with it. For years it HRT was opted as an option for menopause treatment, and is still opted by women but the percentage of women opting for this treatment has gone down. The knowledge about the risks of hormone therapy has caused the number of women choosing this method to reduce, since the risks involved can be fatal to the general health. Although the HRT may protect against osteoporosis, it might increase the risk of serious diseases like stroke and breast cancer. Different types of HRT present different degree of risks. Due to the onset of menopause and the effects it causes in women, various methods have been introduced to help in curbing the symptoms and to provide relief. Hormone replacement therapy is one of the ways used to help women deal with menopause. However, apart from the benefits that come with the process, there are risks associated with t hues of hormone therapy. These risks include heart stroke, heart disease, and breast cancer. For years HRT was assumed to cut down the risk of heart disease, but according to recent studies conducted, the fact is in contradiction to this. It is known to actually raise the risk of certain heart diseases. According to recent research studies the dose and type of HRT and the duration and commencement of it play an important role in determining the risk level of heart diseases. The second most important risk is heart stroke. As per researches women taking HRT have a risk of heart stroke. Though the risk is small, yet highly dependent on the health history of woman taking HRT and even the timing of HRT. The hormone therapy risks may increase according to the duration of use as well as the type of treatment used. After stroke come Blood clots. There are huge chances blood clots with HRT. This kind of a condition is specifically true for women, who are already at risk of this condition prior taking the HRT treatment. It is said to be more prevalent in women with history of such condition, yet it may be small for some. Last but not the least come this risk of Breast Cancer, which is well known by women and they are also aware of it. Women having HRT treatment for more than 5 years are at this risk. Different types of HRT treatments have different risk levels and Combined HRT has a much increased risk of breast cancer as compared to the estrogen concentrated HRT. Also, Estrogen concentrated HRT provides the most relief from menopausal symptoms. How dangerous is Hormone Replacement Therapy? Hormone replacement therapy is associated with the risks of causing breast cancer when the estrogen method is used to curb the menopausal symptoms. Also, the risk of having stroke and heart diseases which are fatal ailments is increased. However, the occurrence of these risks of hormone therapy might depend on the previous health history of a woman and the duration of using the hormone replacement therapy. As there are so many risks associated with hormone replacement therapy, you may choose to consume supplement. Go through Lydia Pinkham Herbal Tablet Supplement Review, to know how it helps to curb the menopausal symptoms.